GREENSBORO — Greensboro police are currently investigating a robbery of the Papa John’s Pizza shop located at 1015 E. Cone Blvd. in Greensboro. Officers were dispatched there at approximately 10:37 this morning after an unidentified suspect entered the store brandishing a handgun and demanded money. The suspect was described as a black male in his late teens to early twenties, wearing blue jeans, a green sweatshirt, and a green bandana concealing part of his face. He fled the store on foot with an undisclosed amount of money. 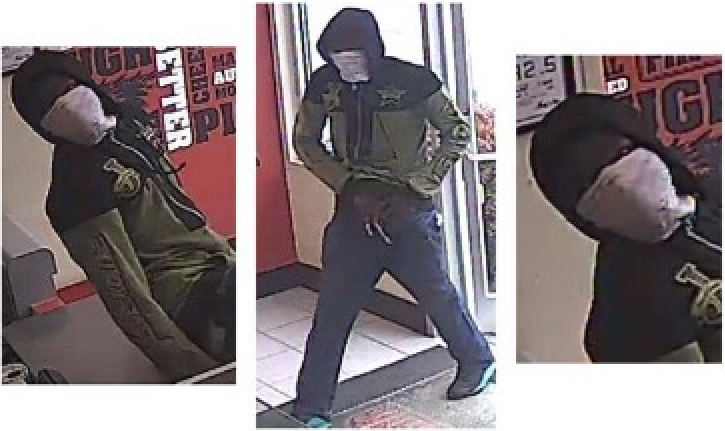 If you recognize this robbery suspect, please contact Greensboro/Guilford County Crime Stoppers by phone at 336-373-1000 or text keyword badboyz and the tip to 274637.